The city’s metamorphosis from a sleepy town to a metropolis has left most of us long for peace and contentment. This is why Punekars are taking to Sufism as a quest for harmony and the need to seek refuge in the promise of hope and love. Sufism or Tasawwuf, the mystical arm of Islam, which is inwardly directed, deals with the soul’s relationship with god. It advocates oneness with god and urges that everything men do, be driven by one sole motivation — the love of god. 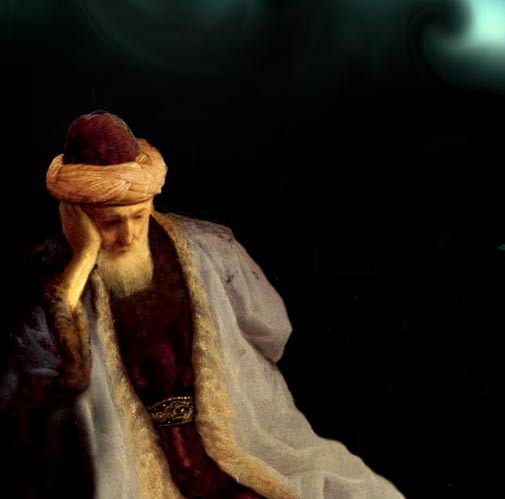 The word Sufi means ‘clothed in wool’, reveals Dr Zubair Fattani in his article The Meaning of Tasawwuf, and is metaphoric of the inwardness of Islam wrapped in its exterior expressions. Over the centuries, it has found expression in the ecstatic and reflective poetry of Jalaluddin Rumi, Baba Bulleh Shah, Hafiz, Rabia and Moinuddin Chisti and others, which is increasingly popular in the city. Bookshelves laden with books on Sufism and its various expressions in poetry, music and dance are a common sight, as are the collections featuring Sufi music maestros like Nusrat Fateh Ali Khan, Abida Parveen, Kailash Kher and the Sabri brothers, among many illustrious others. Jyoti Mate, a city Sufi music and dance therapist, uses this mystical dimension to heal all those who seek solace in it. The whirling dervishes, the most iconic symbol of Sufism, are the basic element of Sufi dance and represent the earth rotating around the sun, also symbolic of the universe. 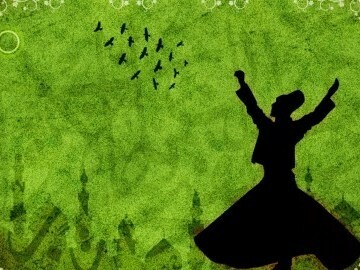 “Sufi dance helps stir pent-up and suppressed emotions within oneself. The hands are outspread while whirling and the head is thrown off-centre. A lot is metaphorical in Sufism, dance being no exception. The raising of the right hand and facing it skyward indicates absorption of knowledge from the heavens and the left hand which is pointed downwards, palm-down, passes it on to others.The head thrown off-centre is an urge to be non-egocentric, so that the ego doesn’t grow further. The cap used by Sufis is made of camel hair and is of a specific height, again symbolising the curtailing of the ego,” she says. Mate adds that response to her therapy sessions has steadily grown since she first started in June 2008 and people often break into tears after the session is over. On the music front, there is Ruhaniyat, the all-India Sufi and mystic music festival presented by Banyan Tree, which has been coming to Pune for the past eight years. The seven-city festival brings with it Baul musicians from West Bengal, comprising Sufi Muslims and Vaishnav Hindus, the Manganiars from Rajasthan singing Sufi folk music from the state, qawwals like the Sabri brothers and Turkish Sufi musician Latif Bolat, among others. Nandini Mukesh, director of Banyan Tree, who also emcees Ruhaniyat, says that the festival has elicited phenomenal response in the city. “Last year, our attendance read around 1,800 people. We found ourselves continually adding chairs,” she says adding that the audience in Pune is very evolved and sophisticated and comes with an understanding of the music played at the festival. The popularity of Sufi rock bands like Junoon from Pakistan, along with Coke Studio, has also led to the emergence of Sufi rock bands like Chakra in the city, which does a lot of covers of Pakistani Sufi music songs, along with some original compositions featuring dohas of Baba Bulleh Shah and Kabir. The Osho Meditation Resort in Koregaon Park, has whirling meditation sessions every Wednesday. Ma Amrit Sadhana of the resort, says the eyes are kept open and unfocused while whirling, which forms the first stage of the meditation technique, the second being rest. “The response to these sessions is great. Watching so many people be a part of the session, and the sight of them totally engrossed in whirling is beautiful,” she adds. Sheetal Sanghvi of The Urban Ashram, which hosts many Sufi music and dance workshops, is bringing Sheikha Khadija to Pune in November for a whirling meditation workshop. 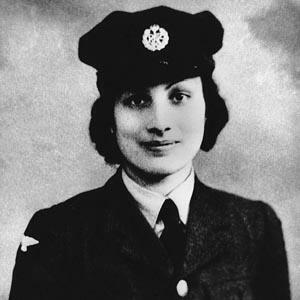 Khadija is a Sheikha in the Mevlevi Order of America. “Sufism promotes unity and love and the response to our Sufi workshops is really growing. This is because orthodox systems of religious beliefs sometimes don’t narrate to the soul as well as they should. Sufism, with its teachings, gives hope to people,” he adds. Islamic scholar Anees Chishti, who isn’t a Sufi but has studied it, is skeptical of this current trend of what he feels is pop-Sufism. “Sufism requires penance and meditation. Sufi rock and dances are nothing but a Western concept. They call the whirling movements dervishes, but the term, is durvesh, dur meaning pearl and vesh meaning hanging, in Persian. So the composite means ‘hanging like a pearl’. In Turkey, during the time of Rumi, the head of the khanqah or mystic hall, was a durvesh. When he played the daf and sang mystical poetry, people listening to him would go in a trance and start whirling. So ‘durvesh’ refers to a person and not a bodily movement. All this pageantry is a marketing tactic,” he says. Opinions on the topic are many and varied, but most will agree that Sufism in its numerous interpretations in literature, music and dance does feel divine. 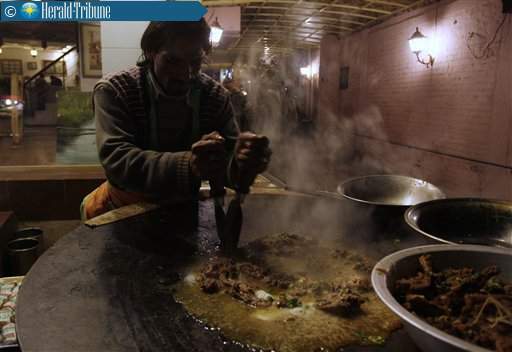 Although Pakistan’s headlines are dominated by the violent excesses of Taliban extremists, the majority of Pakistanis subscribe to the more mystical Sufi tradition of the country’s Barelvi school of Islam. And attacks on their places of worship are becoming depressingly familiar. Last Sunday, two bombers attacked the 13th Century Sakhi Sarwar shrine, near the southern Punjabi town of Dera Ghazi Khan, slaughtering 50 people and injuring twice as many. Mercifully, two other bombers failed to detonate their devices, preventing even higher casualties. Still, it was the deadliest assault yet on a Sufi shrine in Pakistan — and the sixteenth in the last two years. The Pakistani Taliban swiftly claimed responsibility for the attack, as they have done for each previous one. Pakistan’s Taliban claims the mantle of the hardline Deobandi tradition, with many beliefs in common with the austere Wahabism of Saudi Arabia. They regard the Barelvi, who comprise more than three quarters of Pakistan’s Sunni Muslims, as irredeemable heretics. The Barelvis favor a more tolerant approach to Islam, promoting a cult of the Prophet and incorporate folkloric traditions such as seeking intercession from rural saints. Sakhi Sarwar, a mystic who is also revered by some Hindus and Sikhs, is said to grant women a son — a local legend that rouses anger among Islam’s more literalist adherents, who ascribe such powers only to Allah. Tensions between Deobandis and Barelvis have punctuated most of Pakistan’s history. But with the arrival of al-Qaeda in the country a decade ago, local militants forged links with the global jihadists, their sectarianism sharpened to accept al-Qaeda’s “takfiri” worldview that deems adherents of other strains of Islam as deviant apostates worthy of death. So, the militants have, over the past two years, more keenly focused on sectarian attacks. Traditional Shi’ite processions are now routinely targeted by suicide bombers. 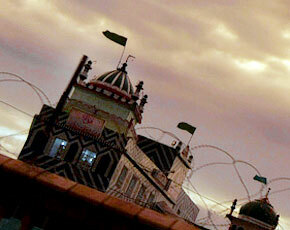 In May 2010, two mosques of the minority Ahmedi sect were targeted in Lahore, killing 93 people. And there’s been an escalation of bombings directed against the majority Barelvis. After attacks on two of their most prominent shrines, Data Darbar in Lahore’s old city and Abdullah Shah Ghazi in Karachi, Barelvis came out on to the streets, wielding weapons and vowing revenge against the Taliban. They did not extend blame to the broader spectrum of Deobandis, perhaps wisely evading the beginnings of a more gruesome sectarian conflict that Pakistan can ill-afford. Not all Barelvis are the models of peace and tolerance that some have portrayed them to be. It was a Barelvi, Mumtaz Qadri, that assassinated Punjab Governor Salmaan Taseer in January, for his opposition to Pakistan’s prejudicial blasphemy laws. The assassination was applauded by 500 Barelvi scholars in a joint statement. And the Sunni Tehreek, a Barelvi militant outfit, rewarded Qadri’s family and threatened Taseer’s daughter. While they may favor a more permissive vision of Islam, certain Barelvis are quite capable of violence where they feel the Prophet has been dishonored. The campaign to defend Pakistan’s blasphemy laws from reform has, in fact, united Barelvis and Deobandis since last November. Barelvi anti-Taliban rhetoric was also put on pause. 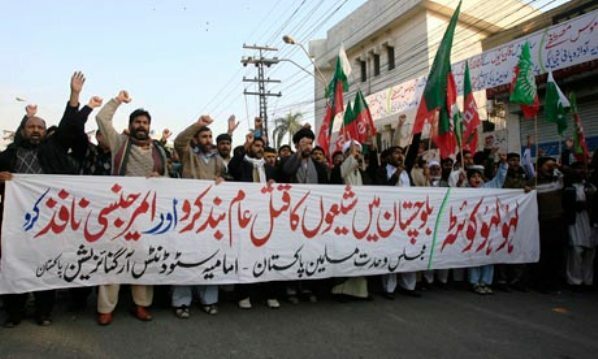 “We had seen the Barelvis getting ready to organize a campaign against the Taliban,” observes analyst Nasim Zehra, “but they got sidetracked by the blasphemy issue and this was forgotten.” Until last month’s assassination of Minorities Minister Shahbaz Bhatti, the religious right was able to frequently draw tens of thousands on to the streets. Sectarian hatred aside, rural shrines are a far easier terror target than the more heavily guarded state and economic targets in the cities. 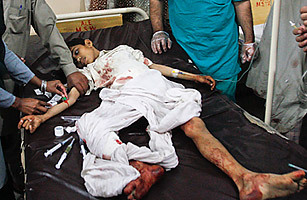 Suicide bombers, especially the teenage boys favored by militants, can often evade notice before they reach the target. A crowded space helps secure the militants’ aim of causing high casualties. In the case of the Sakhi Sarwar bombers, they only had travel to a relatively short and unimpeded distance from North Waziristan to the edge of Punjab. The bombings may also be an attempt to relieve pressure from sporadic Army actions against militants in the northern tip of the tribal areas. “Just to remain alive there, the militants have to try and force the government’s hand into diminishing pressure,” says analyst Haider. “To counter that pressure, they mount attacks in the mainland in the hope of securing some deal back in the tribal areas.” By targeting shrines across the country, the militants are able to demonstrate their enduring geographical reach and expose the state’s vulnerabilities. The bad news is that the state is in a poor position to respond. After the latest bombings, Barelvi leaders denounced the Punjab provincial government for failing to provide security at shrines. The Punjab government dismisses the charge. “It’s happening all over,” says Ahsan Iqbal, a leading politician from the Pakistan Muslim League-N, the ruling party in Punjab. “This is not something that is province-specific.” Iqbal casts blame on the federal government for failing to share intelligence. The federal government reverses the charge, and argues that the law and order is a provincial responsibility. What no one seems to be focusing on is the desperate need to enhance the police’s capacity, with better equipment, counterterrorism training and an intelligence gathering network that reaches deep into Pakistan’s remote areas.